Here at BCA we believe strongly in the need to safeguard our students from all forms of violent extremism. In recent years there have been several occasions both locally and nationally in which extremist groups have attempted to radicalise vulnerable children and young people to hold extreme views including views justifying political, religious, sexist or racist violence, or to steer them into a narrow ideology that is intolerant of diversity and leaves them vulnerable to future radicalisation. BCA is committed to providing a secure environment for pupils, where children feel safe and are kept safe. All adults at the school recognise that safeguarding is everyone’s responsibility irrespective of the role they undertake or whether their role has direct contact or responsibility for children or not. 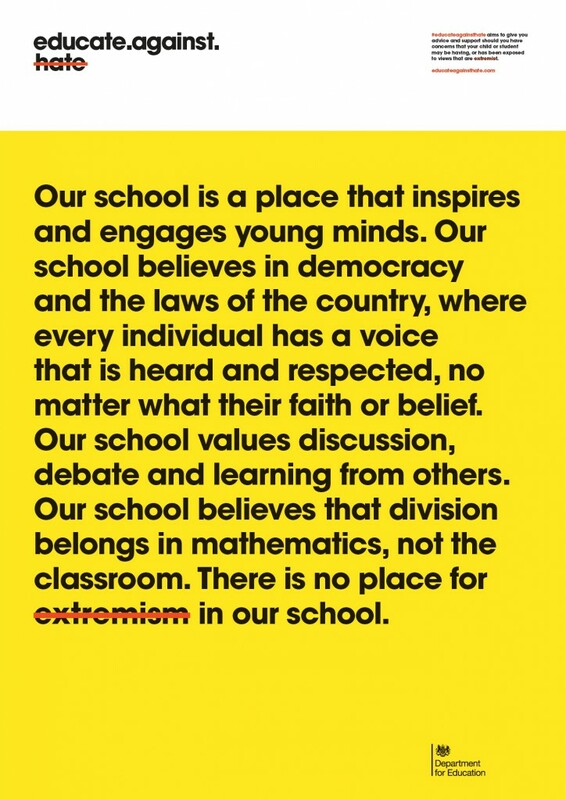 At BCA our values based curriculum helps students build resilience against extremism and radicalisation by fostering a strong ethos and values-based education, as well as by providing a safe space for them to debate controversial issues and develop the critical thinking skills and knowledge they need to be able to challenge extremist arguments. Our school’s Preventing Extremism and Radicalisation Policy also draws upon the guidance produced DfE “Keeping Children Safe in Education, 2014” and HM government document “Prevent strategy: A guide for local partners in England”. For further information and guidance please follow the links on this page.